Thank you, Hayfa, I am still laughing! This is a furniture store in Germany, where the sign says “Do Not Get On the Bed” LLOOLLL! Today’s Old Testament reading is from 2Kings. I like this story. Although it happened so long ago, it still applies to me today – do I want to be right or do I want to be cured? 11But Naaman became angry and went away, saying, ‘I thought that for me he would surely come out, and stand and call on the name of the Lord his God, and would wave his hand over the spot, and cure the leprosy! * 12Are not Abana* and Pharpar, the rivers of Damascus, better than all the waters of Israel? Could I not wash in them, and be clean?’ He turned and went away in a rage. 13But his servants approached and said to him, ‘Father, if the prophet had commanded you to do something difficult, would you not have done it? How much more, when all he said to you was, “Wash, and be clean”?’ 14So he went down and immersed himself seven times in the Jordan, according to the word of the man of God; his flesh was restored like the flesh of a young boy, and he was clean. 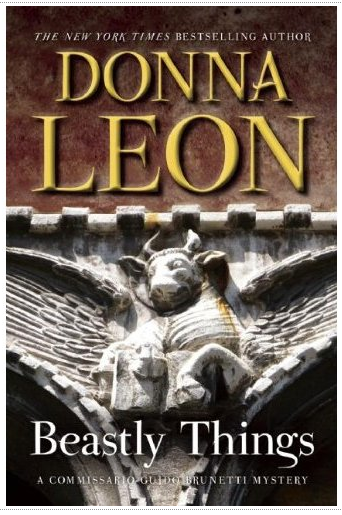 Hardly ever do I order a book in hardcover; they weigh too much, I do a lot of reading when flying, I prefer paperbacks so I can pass them on when I am finished (and no, I do not yet have a Kindle, because I like to pass my books along.) 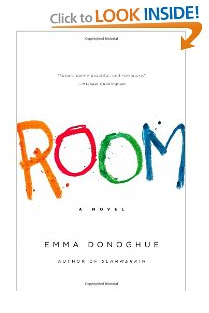 I made an exception for Room when I heard a review on National Public Radio. It sounded so different, and I wondered how it could be written without it being so horrible I couldn’t read it. The story is told from the point of view of a five year old boy who lives in Room, an 11 x 11 foot space. He was born there, he has never been out of there. As you read, you gain such huge admiration for the human spirit. Jake’s mother was abducted off the streets and kept in this room, which is totally soundproofed, surrounded by a chain metal cage, and can be entered and exited only by a door with a code entry lock. She raises Jake as best she can, keeping him hidden from her abductor. She teaches him reading and math, she tries to raise him eating nutritious foods, they have hygiene rules and daily physical education. Every now and then, she has a day when she is “gone”, when Jake wakes up and his mother won’t ‘switch on’ and just stays in her bed, sleeping all day. On those days, he feeds himself and plays quietly, knowing that his Mom will be back ‘on’ the next day – or so. He doesn’t understand his Mother’s despair, and she shelters him from it as best she can. And then comes the time when she realizes that life is only going to get more and more difficult as Jake gets older. She makes a plan, a plan that relies on Jake, a desperate plan. There is a Reader’s Guide section at the back, and this book would be an excellent selection for a book club. Germy Mistakes I Never Thought Of . . . This caught my attention on AOL Health News this morning. Ewwwww! You wash your hands frequently, do your best to avoid coughing strangers, and generally consider yourself to be a germ-avoiding pro. Still you may be surprised at five little things you’re doing that may be leaving you susceptible to harmful bacteria and viruses. 1. Fruit peels: You buy lots of fruit to eat — bonus points! But, when it comes to fruit you peel (think: bananas, oranges), do you ever wash them first? If you grab that banana, peel it, then handle the fruit as you eat it, you’re potentially putting harmful bacteria right in your mouth. Think of all the people who handled that banana: the banana farmer in another part of the world, the guy at the grocery store who stocked the bunch, 19 customers who picked over it to get to the greener bunch they wanted, the checker at the market, the bagger — and then you! 3. Your shoes: Do you keep your shoes on in your house? Yes, this is a controversial issue — those who like to keep their shoes on, thankyouverymuch, may take offense to rhetoric about removing shoes at the door. But, there has been a mounting amount of research in the past years indicating that what we track in on the bottom of our souls could be making us sick — from chemicals lingering on sidewalks and roads to the microbes you picked up in the public restroom. In fact, some health experts consider taking shoes off in your home as a way that anyone can improve their health. Even the super-doc Dr. Mehmet Oz suggested this year that it was on his top-5 list of things he’d recommend people do. So take those shoes off, darlings! 4. Touching your face: We all do it — a scratch here, a nose rub there. But every time we’re touching our face (especially our nose, mouth and eyes), we’re giving germs a free ride into our bods. Even if you can be a teensy bit more aware of when you touch your face throughout the day, you can reduce your germ exposure. No, don’t be compulsive about it, but if you avoid rubbing your eyes now and then, you’re doing your body a good service. 5. The water glass in the bathroom: When’s the last time you sent it for a run in the dishwasher? How about now? Frequently used items like glasses — especially when shared or left out on a countertop where droplets can accumulate from various sources — can be a breeding ground for germs. Wash those glasses frequently, and don’t share them!